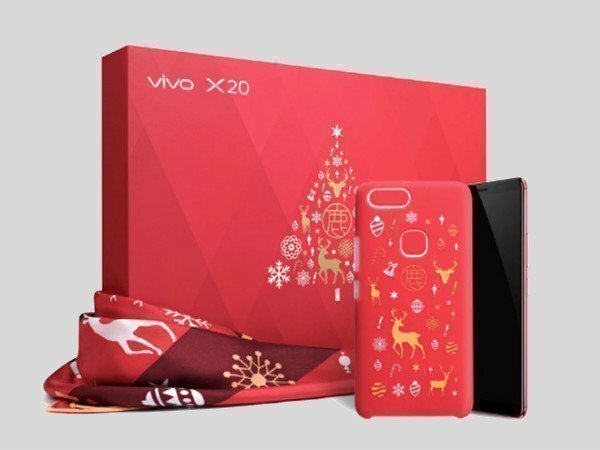 Buyers will also get a special limited gift box with a red colored Scalf and phone case on purchasing Vivo X20 Christmas edition. After launching the King of Glory edition, and FIFA World cup edition of the Vivo X20, the Chinese smartphone manufacturer has yet again unveiled another special edition of the device. The company has now launched the Special Vivo X20 'Chrismas edition', in celebration of the festive and holidays season. Up until now, Vivo has given consumers 7 different variants of the V20. It's a lot of choices from the manufacturer. Having said that, let's have a look at what the new edition brings to the table. 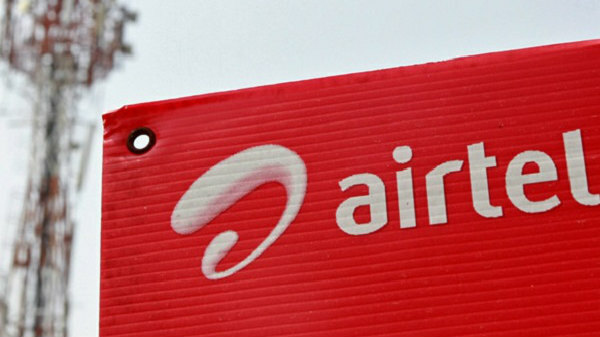 First, the smartphone gets a new paint job and it comes in a bright red color. The red color covers the entire rear panel, antenna band, Vivo logo and the rear-mounted fingerprint sensor. Interestingly, buyers will also get a special limited gift box with a red colored Scalf and phone case. Apart from the aesthetics, Vivo X20 'Chrismas edition will come with 4GB of RAM and 64GB /128GB storage options. However, rest of the specifications of the new phone is same as the regular one, including a 6.01 inch 18:9 display that occupies 85.3 percent of the front of the phone. 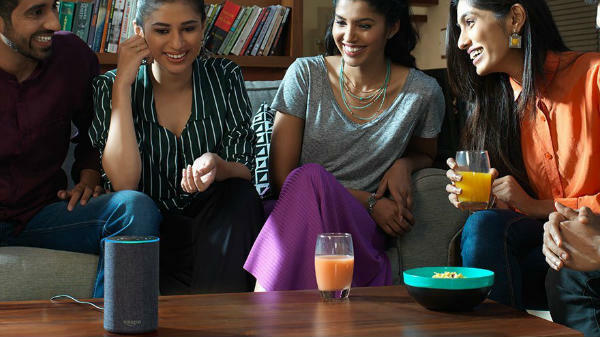 The handset comes with Snapdragon 660 SoC, a dual 12MP + 5-MP rear cameras, 12MP front sensor, a new AK4376A for HiFi audio and a 3245mAh battery under the hood. 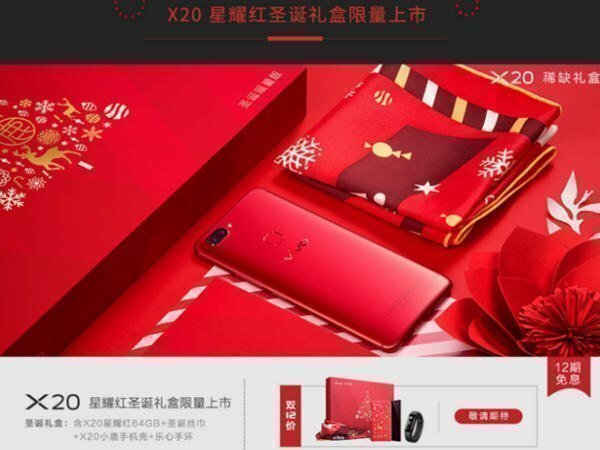 The Vivo X20 'Chrismas edition' is now available for pre-registration on Vivo's official mall, Vivo Lynx official flagship shop, Vivo Jingdong official flagship store, and Vivo Suning official flagship store. 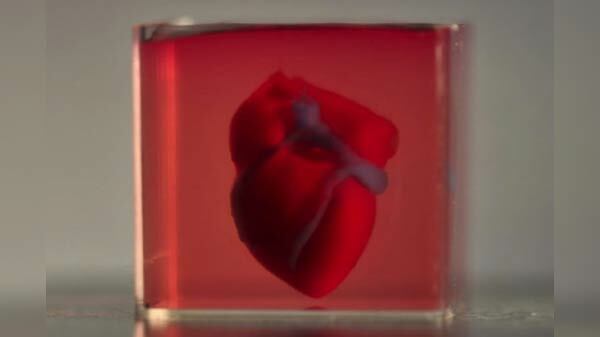 The device will go on sale starting Dec 16 at a price of 3198 Yuan (roughly Rs. 31,124).